Yay! 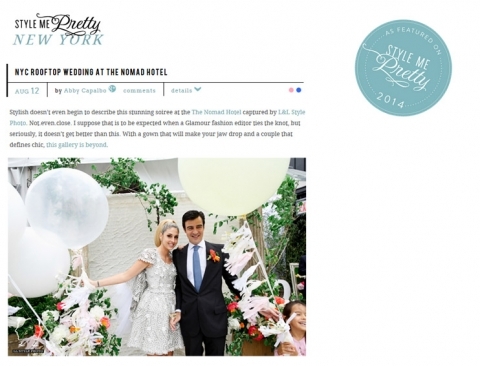 Not everyday one of your wedding photography works get to be published in Style Me Pretty. We feel so proud and happy. You may see here the feature on STMP of this wonderful couple from Brazil, Paula and Henrique, and their destination wedding in New York City.